Washington, D.C. – On Thursday, July 30, 2009, the House Veterans’ Affairs Oversight and Investigations Subcommittee, led by Chairman Harry Mitchell (D-AZ), conducted a hearing to analyze and evaluate the scientific information on Gulf War Illness Research. The hearing focused specifically on the differences between finding of the Research Advisory Committee (RAC) and the Institute of Medicine (IOM) and how VA uses this research to formulate policy. 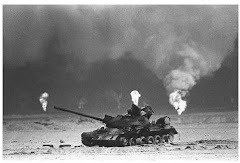 Gulf War Illness research is critical because the questions surrounding the science continually affect the claims, benefits, compensation, and treatment of the veterans who served in the first Gulf War. The United States deployed nearly 700,000 service members to the Persian Gulf in support of Operations Desert Shield and Desert Storm, beginning in 1990. Gulf War veterans were exposed to a multitude of toxins, agents and chemicals that were not documented. This created a challenge with the science and research since the amount and combination of chemicals is an unknown and cannot be replicated or studied in humans or animals. As a result, there are many veterans with undiagnosed illnesses and multi-symptom illnesses as a result of serving in the first Gulf War who are still suffering from toxin exposure and are fighting the VA to have Gulf War Illness recognized as a service-connected condition. In 1998, Congress mandated the appointment of a public advisory panel of independent scientists and veterans to advise the VA on federal research studies and programs to address the health consequences of the Gulf War. As directed, VA contracts with IOM to obtain independent and objective professional opinions concerning available scientific evidence. 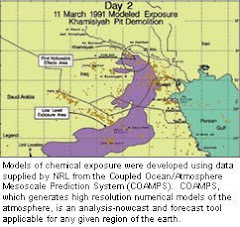 IOM has produced several studies with research parameters set by Congress regarding Gulf War Exposures. The VA’s Research Advisory Committee (RAC) was appointed by the Secretary of Veterans Affairs in 2002 and directed to evaluate the effectiveness of government research in addressing central questions on the nature, causes, and treatments of Gulf War-related illnesses. While both IOM and RAC agree that Gulf War Illness exists, the two organizations do not agree on the methodologies of the scientific research and come to markedly different conclusions. One major difference is how diagnosed and undiagnosed illnesses were evaluated. Currently, no diagnostic tests exist that allow diagnosis for Gulf War Illness, and undiagnosed illnesses are self reported. The other difference is how animal and human studies and findings were evaluated in formulating findings.